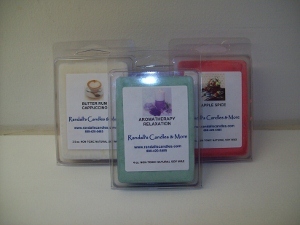 Natural soy wax tarts in a NEW CLAMSHELL package. One package equals 4 YANKEE SIZED tarts(found in most stores). Now with less labor, I add MORE fragrance for an even STRONGER scent YOU GET THE EQUIVALENT OF 12 YANKEE TARTS FOR $.90 EACH, AND THESE ARE MUCH BETTER. EXTRA BULBS AVAILABLE HERE ON OUR WEBSITE. YOU WILL RECEIVE ONE EXTRA BULB WITH EVERY LAMP FOR FREE!!! !